Square Enix has revealed the first trailer for Dragon Quest XI: Echoes of an Elusive Age S at Jump Festa this weekend, the much-anticipated port to Nintendo Switch. 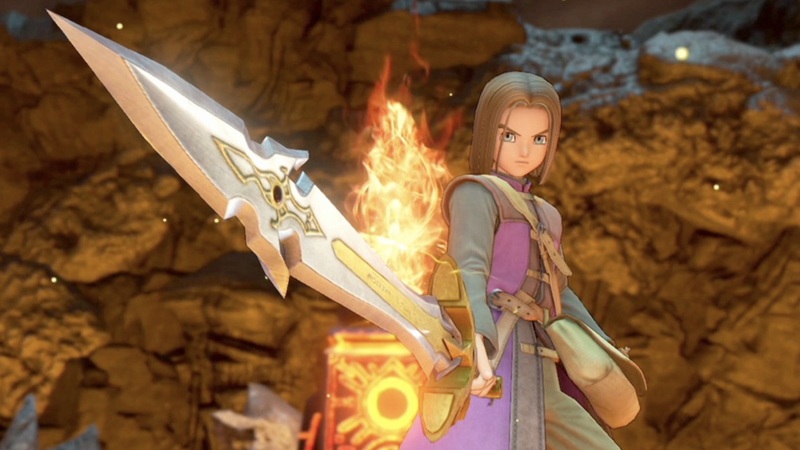 In Dragon Quest XI: Echoes of an Elusive Age S, you play as a young man who, about to participate in his village’s coming of age ceremony, learns that he is the reincarnation of a legendary hero from a forgotten age. He sets out to unravel the mystery of his past, but, after revealing his identity to the King, he is branded as “The Darkspawn” and hunted by a relentless army. Dragon Quest series creator Yuji Horii has previously explained that the “S” represents Switch, Special and Shaberu – which, in Japanese, refers to the new voice acting. The Japanese voice actors have now been revealed, for the characters Erik (Kouki Uchiyama), Sylvando (Masaya Onosaka), Rab (Mugihito), Martina/Jade (Ami Koshimizu) Veronica (Maaya Uchida) and Serena (Sora Amamiya). Beyond this, more news about the port has been promised to be revealed on Tuesday 1st January 2019. Dragon Quest XI: Echoes of an Elusive Age S will release exclusively for Nintendo Switch across Japan in 2019.